Međugorje is a city in Bosnia and Herzegovina. 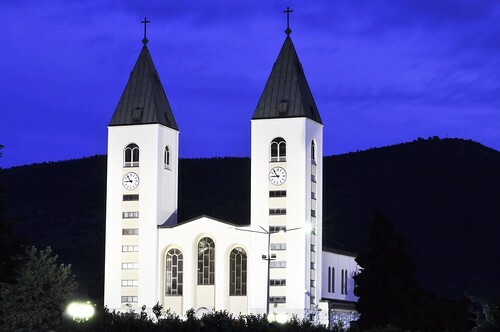 Međugorje, the name is of Slavic origin, and signifies a region between mountains with the villages of Bijakovići, Vionica, Miletina and Šurmanci, forms a Roman-Catholic parish where today about 5000 inhabitants live. 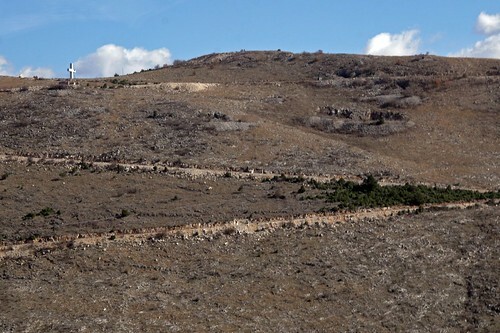 The pastoral care of the parish is confided to the priests of the Herzegovinian Franciscan Province of the Assumption of Mary. 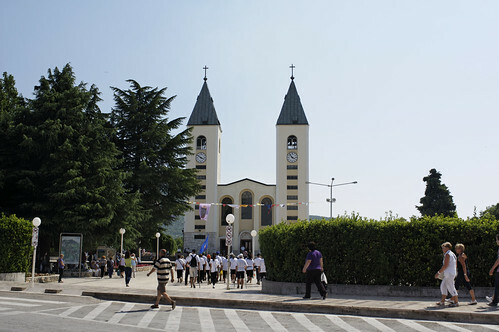 Thanks to Our Lady’s apparitions, Međugorje became a place of gathering for a multitude of pilgrims from the whole world in the first 20 years, more then 20 million, and one of the biggest prayer centres in the world, comparable to Lourdes and Fatima.